Among many Silicon Valley luminaries, the distaste for Donald Trump is palpable, particularly for his ideas on trade and immigration and his views of the innovation economy. REDWOOD CITY, Calif. — In a place normally preoccupied with drafting code and dazzling investors, suddenly everyone in Silicon Valley has an opinion about the presidential election. And it tends to be the same opinion. 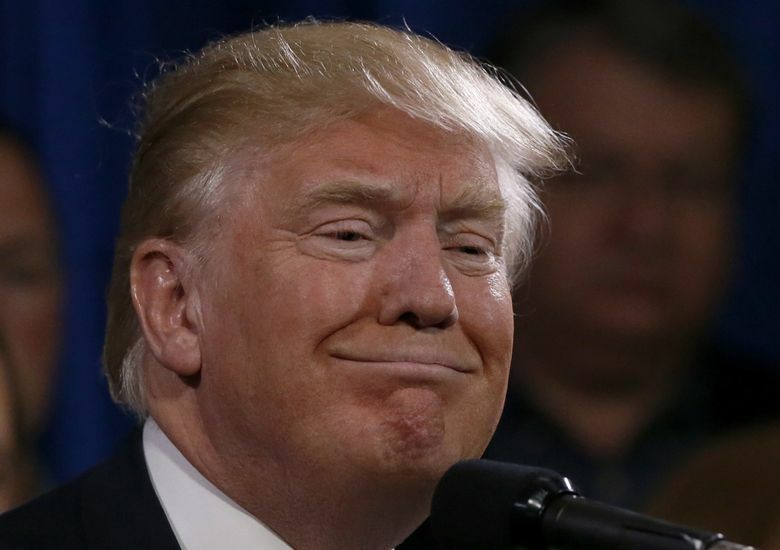 The innovation economy has a serious distaste for Donald Trump. The masters of this world complain that his ignorance about their work and its relationship to the global economy is horrifying. Rank-and-file programmers are quick to call him a clown, or worse. The unity is notable in an environment where groupthink is frowned upon and nobody ever seems to color inside ideological lines. Trump has practically written a playbook on how not to court this well-heeled group that other politicians seem desperate to shower with affection. Ambitious startup chief executives who swore off talking politics for fear of offending investors are enlisting in campaigns to discredit Trump. Longtime valley Republican stalwarts who have voted for every GOP nominee for decades say they can’t do it this year. The libertarian-minded innovators who just want to get government out of their way have less faith in Trump than they do in even Hillary Clinton, the Democrat with big plans to grow the bureaucracy. The grievances that innovation leaders have with Trump are almost too many to list. They are baffled by an immigration policy that they warn would be disastrous for their workforce. Trump’s trade agenda, they say, threatens to tear apart global business relationships crucial to tech-industry success. The candidate’s threat to boycott Apple as it tussled with law enforcement over encryption technology will not soon be forgotten. Just last week, Trump drew yet more chortles with his suggestion that the tech sector was a financial house of cards poised for collapse. 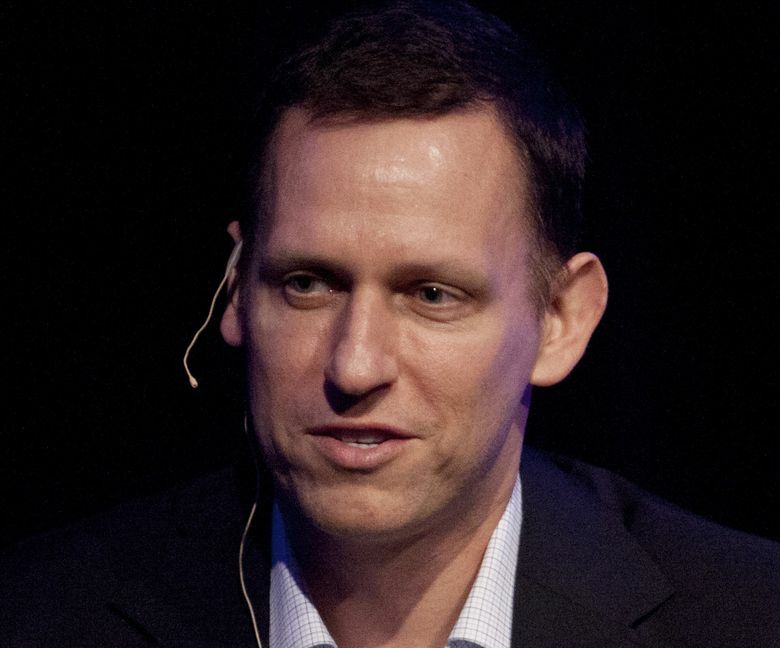 When it was revealed this month that one of the valley’s most successful entrepreneurs, Peter Thiel, had signed on as a California delegate for Trump before the state’s June 7 primary, the backlash against him was brutal. The buzz in the valley was that Thiel had gone off the rails. 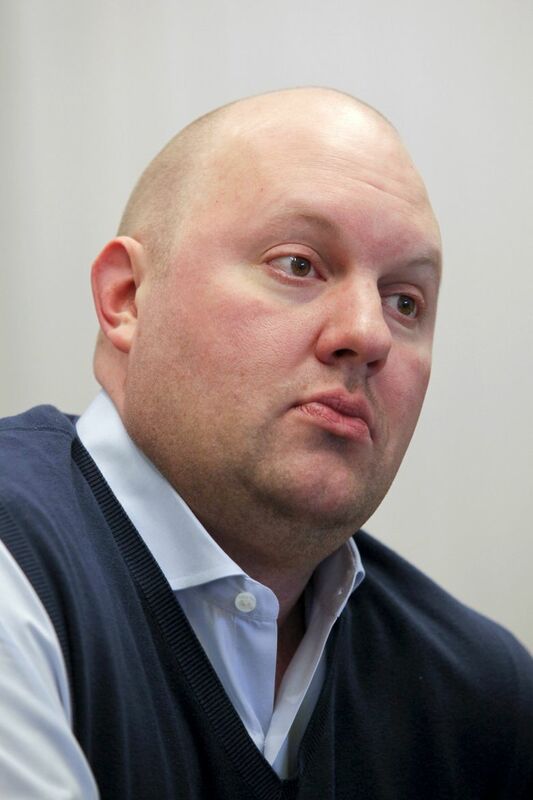 “I’m utterly ashamed we have him as an investor,” wrote Paul Carr, the editorial director of the tech news site Pando. The headline called Thiel a jerk, only in coarser language. The usual valley liberals are, of course, piling on against Trump. But the uneasiness of many conservative free-marketeers in the tech world has touched off speculation about which of them are primed to start writing checks for Clinton. Among those being courted by Democrats is venture-capitalist Marc Andreessen, who spent $100,000 trying to help elect Mitt Romney in 2012. He made clear where he is headed with his tweet this month of “#ImWithHer,” a Clinton slogan. He mocks Trump persistently on social media. Other past rainmakers for the Republican Party find themselves paralyzed. From the corner conference room in his 23rd-floor office, with its sweeping views of San Francisco Bay, high-stakes tech investor and longtime GOP activist Alex Slusky talked about how Florida Sen. Marco Rubio sat in that very room for a tutorial on the innovation economy. He talks about how former Florida Gov. Jeb Bush was also enamored with the sector’s inner workings, as was Ohio Gov. John Kasich and, of course, Rand Paul, the Kentucky senator who made tech a central focus of his campaign. “He hasn’t done anything to reach out,” said Slusky, who has voted for every Republican presidential nominee since he organized his high school’s Ronald Reagan re-election effort. Slusky himself immigrated to America from Ukraine. He figures about half the chief executives of the tech companies he invests in are also immigrants — not because he seeks them out, but because that’s just how tech is. It’s not a hospitable world for anti-immigrant nationalism. “I am not sure we have ever had a moment here where as many people have wanted to be a part of the political process,” said Todd Schulte, president of FWD.us, a bipartisan organization founded by Facebook Chief Executive Mark Zuckerberg and other tech leaders that pushes to liberalize immigration laws and is leading valley opposition to Trump. Among those who have been drawn into the fight is Branko Cerny, a founder of a startup that helps busy people organize their lives. The Prague native’s success at raising money for his business earned him a speaking spot onstage at the Startup Conference, a tech networking event last week in Redwood City. Typical of Silicon Valley, most of the people there were either born abroad or lived abroad at some point in their lives. Cerny said he had been invited to “a number of focus groups hosted by high-net-worth individuals in Silicon Valley” who are strategizing against Trump, though he acknowledged that the voters drawn to Trump are not especially open to hearing counterarguments from ultrawealthy Silicon Valley elites.